No organization can afford the risk of a critical skills shortage. Human resource planning (HRP) helps to ensure that you have the right people on your team - those with the skills to compete, innovate, or grow your company. How do you anticipate workforce needs in a business environment where the rate of change is increasing while the number of people with the right skills is shrinking? The answer is human resource planning. In this article, five experts share their perspectives on what’s needed to operate comfortably in rapidly changing times. While human resources (HR) forecasting isn’t an exact science, you’ll find ideas and processes, examples, and templates that you can use to forecast more confidently, manage operations, and take control to increase current and future profitability. What Is the Meaning of Human Resource Planning? Why Is It Important to Plan Human Resources? 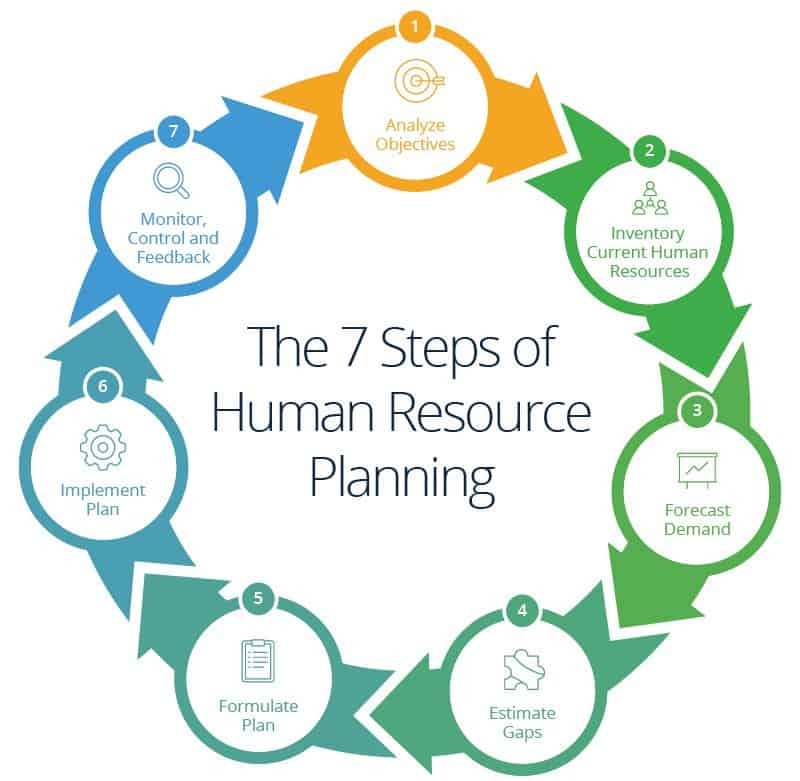 Human resource planning, also known as workforce planning, helps organizations recruit, retain, and optimize the deployment of people needed to meet strategic business objectives and to respond to changes in the external environment. In order to proactively avoid talent shortages or surpluses and achieve a balance of talent based on need, effective human resource planning is an ongoing, systematic process. 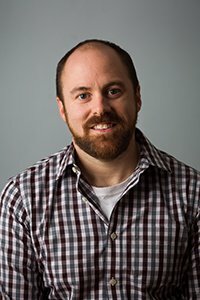 Darrin Murriner is the author of Corporate Bravery, a field guide to eliminating fear-based decisions, and the Co-founder of Cloverleaf.me, a technology platform that helps business leaders and managers build thriving teams. Smart companies get the human capital part right by implementing a tactical human resource plan that connects directly to organizational and human resource strategies. Starbucks, the world’s largest coffee chain, recorded $21.3 billion in sales for 2016, ranking it at 131 on the 2017 Fortune 500. The company projects that it will reach $35 billion in sales by 2021 by opening 12,000 stores over the next five years, the majority of them in China. How do you plan human resources with such a massive growth goal? For Starbucks, their approach remains the same no matter where stores are located. Their human resource planning flows from its organizational strategy and its brand. People are Starbucks’ primary resource, as their mission clearly states: "Our mission: to inspire and nurture the human spirit – one person, one cup, and one neighborhood at a time." An important aspect of Starbucks’ human resource planning is its selection process, which uses specific interview techniques to determine if potential employees are ‘on brand’ and evaluate their skill sets. The company identifies capable company leaders and hires them using a program called "New Partner Orientation and Immersion." This human resources planning approach has led to the lowest employee turnover rate among quick-service restaurants. While most quick-serve restaurants range between 150 to 400 percent turnover, Starbucks’ rate is 65 percent. The company is always on the lookout for new employee perks and focuses energy on employee training, which includes an elaborate online portal that offers an instruction program imparting the necessary job knowledge. “The war for talent around the world continues to grow.” says Matthew Burr, Moderator of the Upstate HR Podcast and Principal at Burr Consulting, LLC, a human resource consulting firm focused on small and medium organizations. To win the human capital competition, companies should use a strategic human resource plan as a roadmap to achieve three- to five-year goals. Strategic plans influence the development of tactical resource planning (Starbucks being a prime example). For example, a human resources strategic plan may include long-term aims to recruit and retain an excellent staff with a high-level of technical expertise. The tactical plan would include detailed action plans with completion due dates. For the strategic recruitment goals, the tactical program might consist of short-term goals, such as benchmarking salaries via survey data, or creating a social media campaign to identify and recruit technical professionals. The plan may also target filling IT positions through international recruiting. Both strategic and tactical human resource plans support the overall organizational strategy. To learn more about strategic human resources management, read Welcome to the HR Revolution: Strategic Human Resources Management. Our world is increasingly one of swift technological change, constant product innovation, economic globalization, and generational and cultural shifts. Correspondingly, the life cycles of business designs and products are shortening. Companies must adapt. More than physical or financial capital, human capital efficiently adapts to this new reality. Simultaneously, human capital is at most significant risk of depreciation or obsolescence within a business — and that’s a risk that organizations can’t afford if they’re going to survive and thrive. In fact, only 12% of firms that were on the Fortune 500 list in 1955 remain on the list in 2016. Anticipating Needs in a Changing Workforce Market: According to Deloitte’s 2017 Global Human Capital Trends report, the digital age has created new ways to work. As jobs and skills change, planning and acquiring the right talent is a significant challenge and has caused disruption and risk to more companies. Murriner says that in the new economy, the importance of having the right people in place has increased, as has their value. 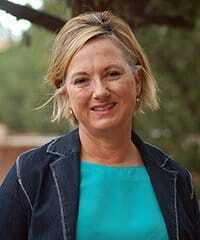 “It’s even more apparent, as we move to more knowledge-based work. Historically, our economy has focused on the creation of goods, with an emphasis on materials and equipment. But now more than ever, people costs are the dominant aspect of financial models that support business strategy,” he explains. Powering Small and Growth Phase Companies: “Small businesses need to have an HR resource plan to support their overall strategy. They need to plan for when they will hire their next manager, or how many employees their existing management team can support,” explains Laura Handrick, a Senior Professional in Human Resources (SPHR), business coach, former HR Director in Fortune 100 Companies, and writer for FitsSmallBusiness.com. 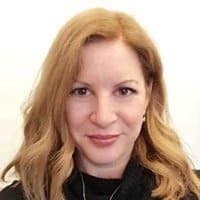 “Often, small business HR plans will include things like when to stop outsourcing HR, marketing, or finance, and bring a full-time person in-house,” she notes. Improving Company Operations: Human capital management and resource planning is a driver for improved company operations and value creation. In July 2017, a group of institutional investors petitioned the Securities and Exchange Commission to disclose policies, practices, and performance of public companies’ human resources management. The petition signifies a move to use workforce analytics to measure the value of an organization’s most valuable asset in a knowledge-based economy. Macro Risks Drive a Systematic Approach to Human Resource Planning: “In any company, you have human resource goals related to your business plan. Let’s say, you have 100 people, but will soon need 200. 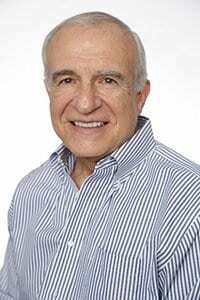 How do we get this to a place where we have exactly the right talent and understand all of those issues that relate to a forward-looking talent basis?” asks Lou Adler, CEO and Founder of The Adler Group, a consulting and training firm. Adler, a top blogger on LinkedIn’s Influencer program, is the author of Hire With Your Head, The Essential Guide for Hiring & Getting Hired, and the Performance-Based Hiring video training program. ​Multiple pressures create risk for every hiring organization competing for a less-than-adequate pool of workers with the appropriate skills. Creating a systematic approach to attracting and retaining workers is critical. At the same time, there’s a demographic change. In most developed economies, the ‘silver tsunami’ - the group of aging individuals that results from ebbing birth rates and graying baby boomers - is surging. The percentage of the U.S. workforce between the ages of 55 and 64 is growing faster than any other age group. Technological Change and The New Generation: Millennials now make up more than 50 percent of the current workforce — and will be 75 percent of the global workforce by 2020. Human resources need to ride this rising tide and learn to welcome technological advancements to meet talent’s expectations and business requirements. Talent and workplace analytics will become customary, and organizations using the data will be far more competitive. Organizational Change: With technology driving change everywhere, organizations need to be nimble and often make significant changes in the way they do business. They also need to make changes with care. Research shows that change initiatives are more likely to fail because of poor communication, employee resistance, and failure to adequately prepare. Human resources are an integral part of change management, which is a systematic approach that applies tools, knowledge, and resources to deal with business transformation. The primary goal of change management is to successfully implement new processes, products, and business strategies while minimizing adverse outcomes. Effective change management includes and also goes beyond project management and involves leading the "people side" of the change equation. Government/Legislative Changes: Each state has regulations that affect everything from employee criminal records checks, labor relations, records retention, and mileage reimbursements. Additional federal laws impact human resource management, too. Consequently, human resource professionals need to be conversant in dynamic employment law to minimize company liability. Not being on top of legislation can pose a significant risk to companies and expose them to expensive lawsuits or damage their brand, which can also be off-putting for potential hires. The seven steps to creating a human resource plan provide a roadmap for companies, but one size does not fit all. The amount of detail and which factors to include are different for every organization. Startup sole proprietorships working in a single geographic area will need to create an entirely different plan than a multinational enterprise. 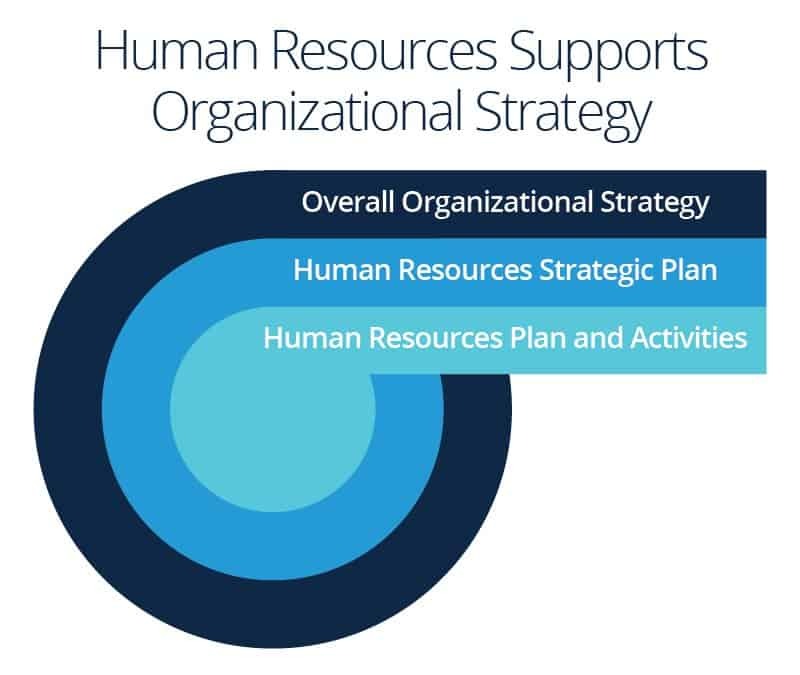 Aligning HR practices to strategic objectives is fundamental to an effective human resources plan. In a perfect world, human resources management works hand in hand with other top managers so there is a clear understanding of ultimate goals, and then they focus on the human capital needed to meet them. It’s vital that the human resources plan encompasses every part of the company from product development to sales and expansion plans. If your company hasn’t written a strategic human resource plan, this template will help you get started. Modify the template to suit your specific needs or to focus on target areas such as benefits or retirement. Stakeholders will appreciate the basic design when they want to review important aspects of your plan. 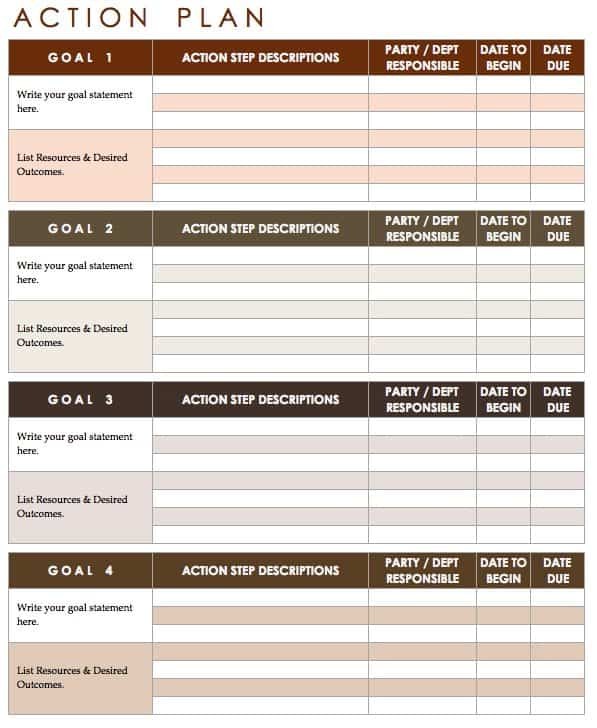 Need more strategic planning templates to clarify goals for your organization? 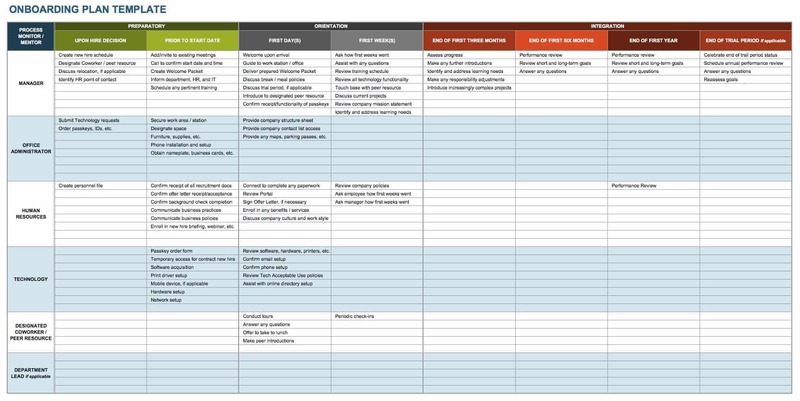 You can find more free strategic planning templates here. If you have one, use the updated human resource information storage (HRIS) sys­tem to analyze the number of people you currently employ, along with their skills, perfor­mance, and potential. Once you determine which jobs need to be filled based on your forecast, you can then decide whether you have enough internal candidates to fill the job requirements or if you need to go to external sources or strategies to add staff. If you don’t have an HRIS system, you can use this performance evaluation template for performance reviews and as a first step in referencing your current human resource inventory. Adapt this easy-to-use form to gain a better understanding of the duties for each position by identifying gaps in performance and staffing when you review information in the aggregate. This template documents performance against set goals, employee evaluation, and professional development plans for the upcoming year. Forecasting human resource demand involves estimating the number of future employees of the right quality and quantity, with a view to the company’s strategic plan over a given period of time. 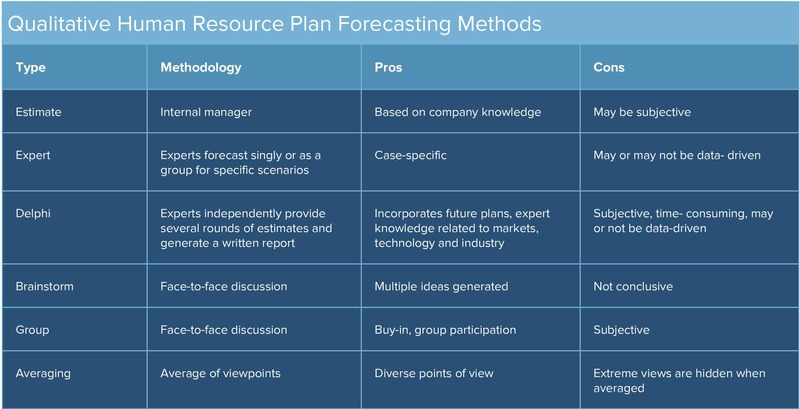 Forecasting demand is the most crucial part of human resource planning and the most daunting. It’s challenging for many reasons, and even more so because there are no absolute answers on how to accomplish it. There are two categories of forecasting methods: quantitative and qualitative. You can use both methods to track the work performance of the workforce as a whole, individuals, or business units. Qualitative reports contain anecdotal observations, while quantitative data is statistical or more data-driven. Select the methods that make the most sense in your environment. For example, in a non-manufacturing company, the work-study method which calculates the necessary working hours to produce units may not make sense. By gathering both quantitative and qualitative information, you can identify issues that are impacting your business's productivity, and then develop a well-rounded forecast to increase the company's efficiency, ensure you’re not over or understaffed, and understand future needs. The classic SWOT layout provides a clear view of your compiled findings as they relate to your human resources plan. 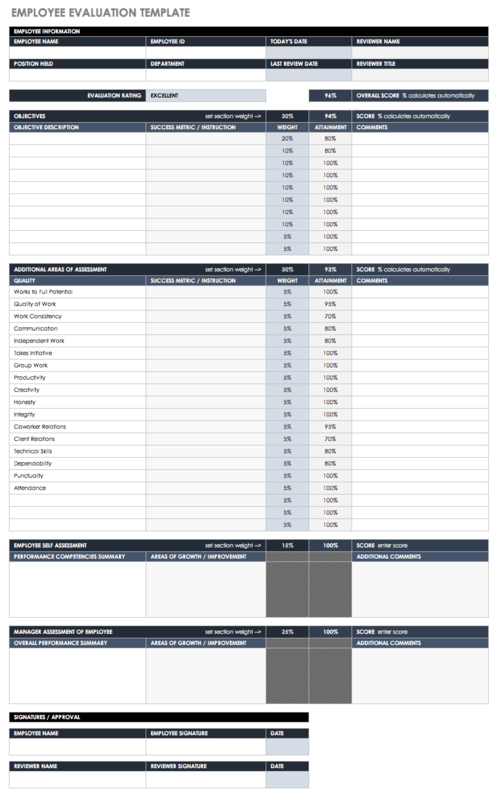 The template also includes a column for rating the importance of each item by category so you can have a clear understanding of how the analysis elements compare and which will need the most attention. You can add Excel worksheets to hold supporting data and clarify the basis of your findings. If you’re looking for different formats in Excel, PowerPoint, or Word, you can find free SWOT templates here. With your forecast completed, you’ll have an understanding of future needs and if you will need to fill them with external workers hired full-time, part-time, or as contractors. If you have the right number of employees that don’t have the right skills, you can use training and development to upgrade employee skills to fill the gaps, or you may need to deploy workers in another role. Training is relevant for both employee success and team member retention. Though training takes time and effort, it's essential to have a plan in place to ensure a productive ramp-up period for new employees or existing employees who are learning the tasks and responsibilities of a new role. 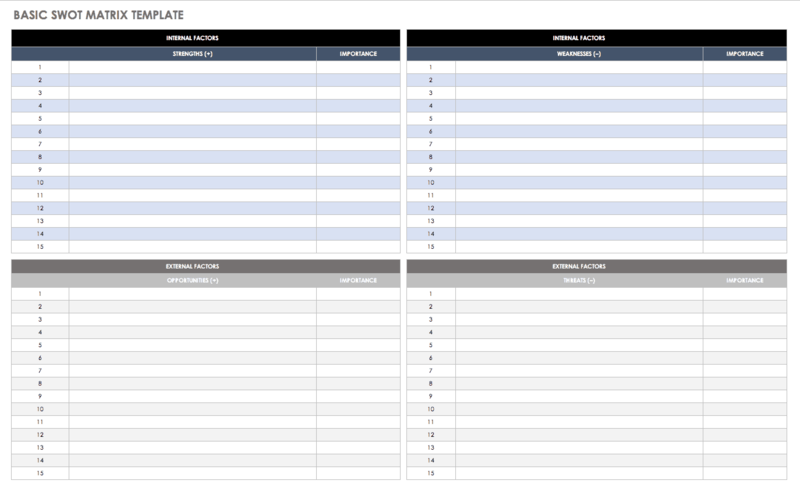 With this adaptable employee training schedule template, you can create training activities lists, add details about which team members need help to complete each task, track status, and provide a way for the manager and employee to enter feedback. Moving team members to fill different roles can be the ideal solution to filling workforce gaps. When making these changes, ensure that you maintain the information and knowledge the employee had in the initial role. An employee transition plan keeps the information accessible and easy to share. 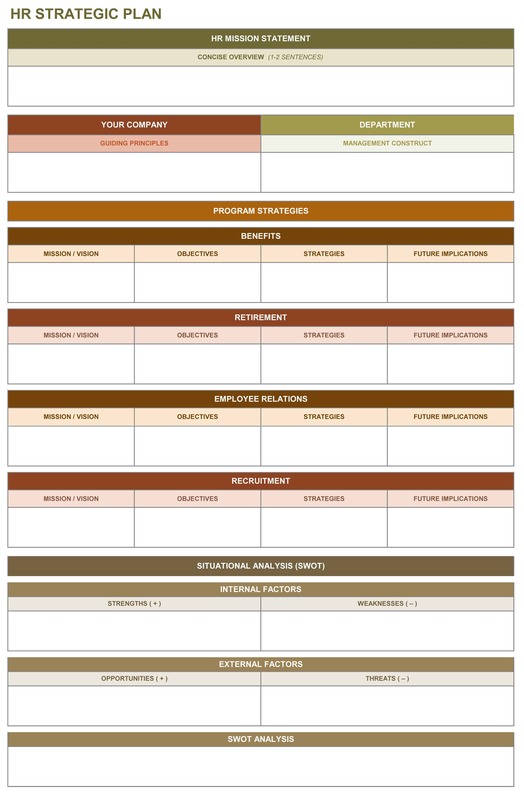 You can also use this transition plan template to assist the person previously in the role train any new team members. Input every aspect of the role that will be useful in the present and future. The human resource plan relies on identifying deficits or surplus in the company. You’ll need to determine if you need to begin recruiting or training, transition, or develop voluntary retirement processes and redeployment in case of a surplus. Include priorities and critical planning issues in your plan. 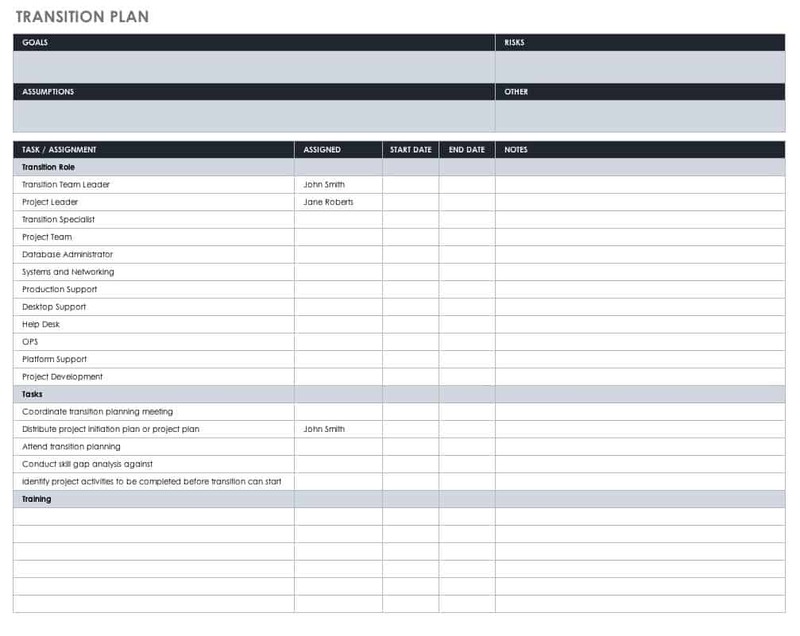 This action plan template provides sections for goals, but you can add more sections to customize it to complete your human resources plan. Goals are translated into actionable steps that you can track to check progress. Assign start and end dates for each action, and take notes about each part of the plan. This is the most challenging aspect of any human resources plan. The organization often invests time and money on plans that are shelved and not utilized. Company executives need to grant buy-in, embrace the plan, and bring the organization on board. Overcome any potential employee resistance to the process by rolling in one aspect of the plan at a time to help employees acclimate to changes. Recruitment is one of the top responsibilities of any human resources team. Searching for, vetting, and finding the right talent to join your team are all crucial steps to ensure the success of your organization. Having a staffing plan in place makes your team aware of the available recruitment sources, hiring goals, and budget. 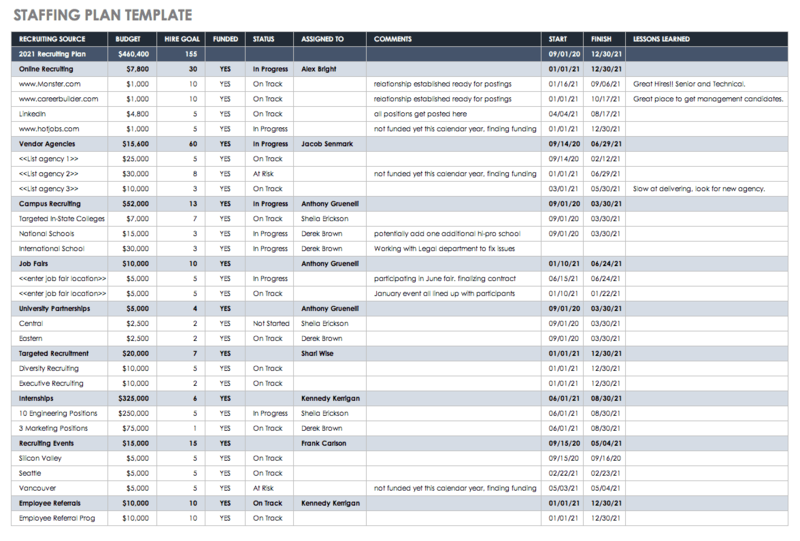 Use this staffing plan to organize all staffing details with columns for budgets, hiring goals, status, and comments. If you don’t have an automated system, you can track and manage applicants’ cover letters, resumes, applications, and details about job openings. Tracking this information can be a lot of work depending on the size of the company and current hiring plan. Use this candidate tracker template to organize candidate documentation and details, and ensure that you provide a positive experience for candidates and people involved in the interview process. Track candidate contact information, phone interview questions and answers, status, comments, next steps, and more using this template. Onboarding ensures proper training and enculturation for new team members, and is also a powerful retention tool for any organization. Develop your own onboarding plan by using this template to plan activities at each stage of the process. Since a full year of onboarding is a best human resources practice, this spreadsheet shows tasks assigned to individual contacts over a twelve-month period. 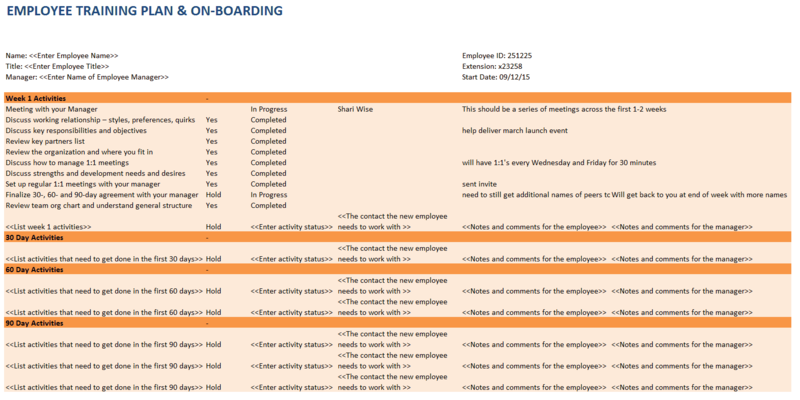 Add or remove columns to create a comprehensive onboarding plan. For more best practice information and free templates to support your human resources planning, read Top Excel Templates for Human Resources. Strictly monitoring progress helps identify sticking points in your plan and helps you avoid making changes too quickly. It’s essential to compare actions to how the plan is being implemented to ensure fidelity. The human resource plan is an evergreen document that takes changing circumstances into account. Ongoing measurement, reporting, and continuous improvement efforts will keep the company moving towards its stated strategic goals. Monitoring all the changes you need to while executing a complicated human resources plan can be time consuming. With this customizable project management dashboard, you can compile every aspect of the process, share status information with management and other team members, and view the big picture at a glance. The Importance of Policy Planning: Company policy supports your human resources plan. 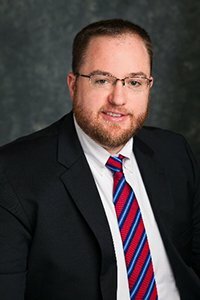 Policies such as employment classification, benefits, compensation, performance, and improvement are designed to target not only the selection, training, and support of team members, but also to provide guidelines for conduct in and out of the work environment and many other aspects of employment. Social Media as Friend and Foe: Social media sites like LinkedIn and Twitter can be powerful recruiting platforms and a friendly, fun way to communicate with team members. However, they can also potentially be an issue when disgruntled employees or competitors get into negative commentary. It’s important to be alert to your company’s social media profile and to take corrective action when the buzz may not be favorable to your goals. Strategic Thinking and Human Resources: Burr points out the need for human resources to think creatively and strategically. He says, “Every company should have their own forecasting model and often times, each functional area of the business would need to have a different model as well. While a customer service department may be able to use a data-driven formula for when they need to add people to support call volumes, it is not always as easy to forecast people’s needs in more administrative or managerial capacities. More About Markov Predictive Analysis Modeling: One of the most difficult analyses to execute and potentially one of the most valuable tools in forecasting is the Markov model. It’s not a quick fix, but for most mid-to-large companies, it’s worth the time investment to learn how to execute it. For a detailed explanation, read A Markov Model for Human Resources Supply Forecast Dividing the HR System into Subgroups. HR should have a seat at the table when the strategy is being conceived to align on what capabilities are needed, and by when, to realize the strategy. HR needs to influence progressive and aggressive budgeting for resource acquisition, training, coaching, and development every year. HR must institutionalize effective succession and talent planning practices at all levels, and build an adaptive organization that can flex its structure to optimize performance. HR must use far-reaching ideas to retain its key talent and sustain a highly-engaged workforce in a diverse and driven culture. 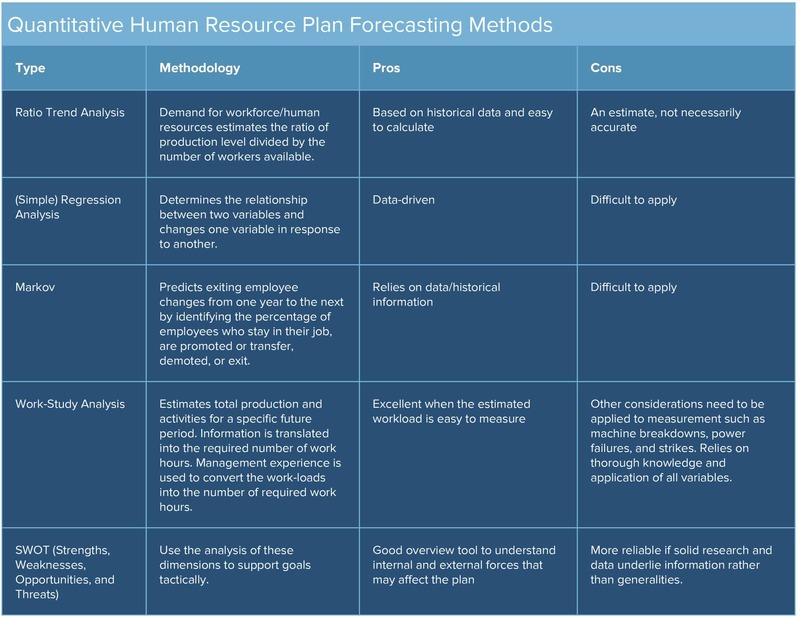 Forecasting Is an Imperfect Art: Human resource planning relies on forecasting and supply, which can never be a 100 percent accurate process. Resistant Workforce: Employees may feel that their workload will increase, so they resist the process, or they may be uncomfortable altering familiar patterns in their work life and tasks. Ambiguity and Rapid Change: Uncertainties such as labor absenteeism, employee turnover, seasonal employment, technological changes and market fluctuations all affect planning. Inefficient Information Systems: Human resource information systems need to be reliable, comprehensive, and up to date. It makes it difficult to plan without good data about current employees. Cost and Time Factors: With all of the work hours involved in completing and repeating the seven steps, human resource planning is a time consuming and expensive process, so companies sometimes avoid it altogether, despite the benefits. More Technology: Social media will likely be in higher use to reach potential workers, particularly millennials who use Twitter, LinkedIn, and Facebook in their job hunts. Telecommuting and the use of social collaboration tools and video conferencing apps will keep people working and in touch with company culture. Emerging platforms will further streamline basic human resources functions to make onboarding and professional development more cost-effective and accessible from anywhere in the world for a virtual workforce. Big Data: Metrics and in-depth analysis of processes and people will become increasingly important in human resources as they are in other functional areas. Data- driven decision making is the future, as are metrics to show ROI in people and technology. Security Issues: All this new technology brings up security concerns for employers and employee. Data breaches are a fact of life, and the threat to personal data security, company security, and supply chain risks will likely continue. Health Care Costs: Costs are likely to continue increasing, since they have been rising steadily in the last several decades. New legislation will perhaps slow the costs of health care. In the meantime, strategies to lower employee healthcare costs will likely take the form of initiatives to improve employee health, and taking advantage of health reimbursement accounts (HRAs) that are consumer-driven or health savings accounts (HSAs). When you start creating a strategic plan for staffing your organization, you’ll need a tool that lets you easily access employee records, track retention, and share critical analysis results with stakeholders. 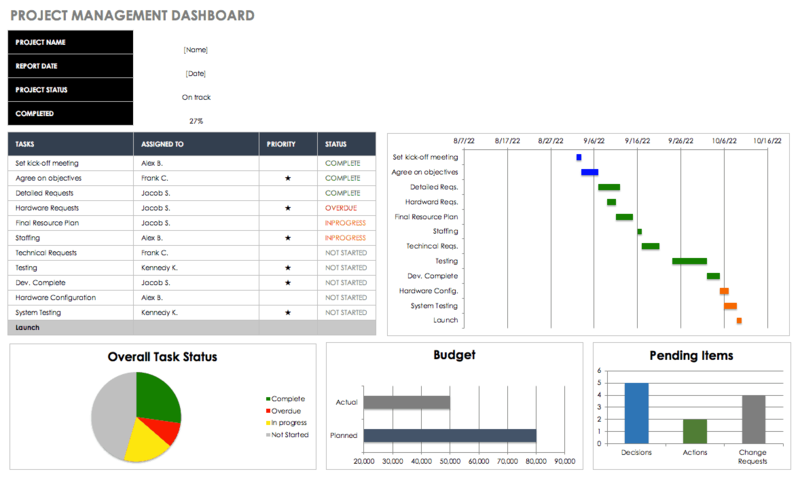 Smartsheet is a work management and automation platform that enables enterprises and teams to work better. Leading HR professionals rely on Smartsheet to help manage everything from simple onboarding tasks to complex change management, recruiting, and benefits and retirement tracking. Discover how Smartsheet can help maximize your human resources efforts today.